Burglar proof windows are an amalgamation of several different window security measures. Window security is important because windows are fragile access points in every home. 58.3% of all burglaries are caused by forcible entry, and windows are often targeted in these entries. Today we will be studying window security and looking at the ways homeowners can achieve fully functional burglar proof windows. A big part of assessing window security rests on understanding the inherent flaws of windows and how their use in the home. Once this has been done, the everyday homeowner can better implement burglar proof windows. Homeowners often disregard their window security until something spurs them into action. Burglaries are usually the perfect catalyst for cultivating some concern about window security. Window installation and placement are primarily driven by a homeowner’s aesthetic goals and personal style. However, the drive for aesthetics can often leave you unwittingly vulnerable. One of the main flaws that plague window security, is the benefit of visibility that homeowners grant burglars. Burglaries can either be crimes of opportunity or meticulously planned crimes. To capitalize on an opportunity, burglars have to come across the opportunity. Also, burglars rely on information about their victims to plan a crime. The simplest way to gain insight into a victim’s home is to look through their window. In order for burglars to appropriately plan a crime, they need information about their victim. Windows that do not restrict visibility for people outside can cripple your window security. This is not to say that your windows should constantly be covered up. I merely wish to highlight the fact that your windows can potentially give people unencumbered access to the elements that exist within your home. Although there are benefits to having clear, and visible windows, they can weaken your window protection. Ideally, burglar proof windows should minimize the effect of this flaw in window security. In addition to flawed visibility, most windows are easily attacked because they do not actively deter exterior access. Perimeter security goes hand in hand with window security. The average home has at least one window that is on the ground level, and many of these windows are placed in easily accessible locations. Furthermore, most of these windows have no auxiliary measures in place that restrict close physical access. This means that not only are they easy to reach, but they are also easy to tamper with. 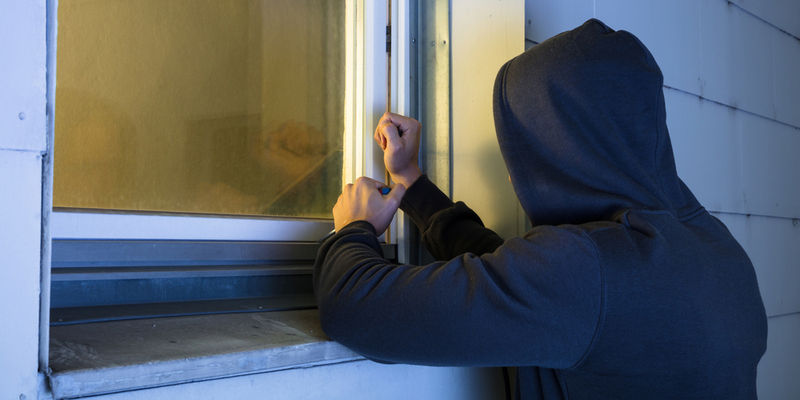 Now, unless you plan on recreating the famous scene from Romeo and Juliet, you should ideally have some additional window security measures in place that make it harder for burglars to reach your windows. True burglar proof window solutions focus on all of these flaws so that they can be appropriately corrected. Glass is the primary component of most windows that you will find, and for good reason. From a design perspective, there are very few elements that can achieve the effects of glass when used alongside residential windows. Glass provides an aesthetic appeal, while simultaneously allowing homeowners to take advantage of the natural elements around them. However, glass is vulnerable and it can potentially cripple your window protection. Effective security measures balance security layers. Assessing your home security is one of the best ways to figure out which layers work for you. If your security layers do not account for window glass, your Achilles heel is exposed. Burglar proof windows should minimize the effect of weak links like glass. Another inherent flaw in window security are the locking mechanisms that are used, or the lack thereof. You will be hard pressed to find homeowners who took the time to change the stock window locks and window latches, which were put in place the first time their windows were installed. Many new homeowners are often advised to change their locks when they move into a new home, but few are ever told to change their window locks. If the window locking mechanism you have in place is not effective, your window security and your window protection are flawed. Also, if there are no locking mechanisms in place at all, your window security has a glaring weak link. Security solutions encompass every possible weak point, which is why burglar proof windows also have to incorporate window security locks as a window security measure. General physical security measures often look to accomplish a few things. Ideally, they should aim to deter unauthorized access and also notify homeowners of unauthorized access. Focusing on the latter, you will probably notice that windows do not offer much in terms of notifications. There are rarely any measures that are put in place to notify homeowners if their windows have been compromised. The absence of any form of notification system comes aids burglars and leaves homeowners at a disadvantage. Timely notification is the key to stopping a burglar dead in their tracks and mitigating your loss, which is why it is an important facet for burglar proof windows to cover. In the absence of a proper means of notification, the likelihood of a burglar compromising your windows covertly greatly increases. How Do Burglars Target Your Windows? Homeowners should know how burglars choose to attack their windows. This information helps them implement effective burglar proof windows. Burglar proof windows can never be effective if there are any stones left unturned. Studying the ways burglars attack window security and window protection helps influence the security measures that are employed and layered on top one of one another. In a general sense, window security is targeted by using passive attacks or active attacks. As far as passive attacks go, attacks that take advantage of visibility are some of the hardest attacks to pinpoint. This is not to say that they are hard to handle, but homeowners will often be unable to notice that they have been attacked because of the visibility that their windows provide. Attacks of visibility capitalize on one of the most common flaws of windows: the fact that there are hardly any measures stopping someone from simply looking into your home. Burglars take advantage of this to assess your home and your other security measures. For instance, if you have a monitored security system that is visible from any of your accessible windows, burglars will be able to gather information about this system and plan ahead to thwart it. Now, not all burglaries are planned ahead of time. In fact, some attacks are spur of the moment and simply rely on an opportunity being present. Like any average person, a burglar will not pass up a lucrative opportunity that appears right before their eyes. However, most people have a moral compass that prevents them from doing anything sordid and ignoble. Sometimes, the bane of great window security is the homeowner. Attacks of opportunity are often facilitated by windows that are left ajar, windows that are left unlocked, or broken windows that might not even have any locks on them. Each of these things beckons to burglars and draws them closer to your home because they think easy access has been granted. As the name suggests, active attacks actively seek to undermine window security. Windows are usually secured by latches, or not secured at all. Window latches help keep windows closed, but not secure. Burglars have no trouble making quick work of latches that are installed on windows, and they often work to bypass these in order to gain entry to someone’s home. Another common way of bypassing window security and window protection is to simply remove a window panel right off its tracks. This method is mostly exclusive to sliding windows that use window tracks. In other windows, like awning windows, the hinges attached to the window frame can be targeted to render the window locks in place ineffective. Glass is probably the main vulnerability that comes to mind when homeowners think of window security flaws. Of course, burglars will look to actively exploit this flaw in any way they can. Many burglars gain access to homes simply by breaking window glass and using this to access doors or even window locks that are put in place. Although these attacks are much less covert, it does not necessarily mean that they will draw attention. Burglars usually target homes when homeowners aren’t present. Without a means of notification in place, the sound of breaking glass can easily go unnoticed. If you are relying on your neighbors to hear a window breaking, then I am afraid that you might have to reassess your entire home security strategy. Burglars will not hesitate to break through any windows because it gives them fast and easy access to your home. This method is a prime example of giving burglars easy exterior access to your windows, and something burglar proof windows should prevent. Picking up where the point above left of, burglars like to target obscure windows. By obscure windows, I am simply referring to those windows that are out of sight and much harder to spot. These windows could be hard to spot because they are covered by shrubbery or because the area around them is not well lit. Burglars have a knack for picking out these kind of locations that homeowners pay little attention to, and they use it to their advantage. I hope that by now you understand that burglar proof windows are not only about the physical windows themselves but more about the mindset of security. Obscure windows can never be taken advantage of if they are monitored and in plain view like the rest of your windows. Plain view might not mean exactly what you think in this context, but I will get to that later. Window security locks are the first step to achieving burglar proof windows. Most windows are not equipped with window security locks. Instead, they utilize window latches to keep windows shut. Although window latches are an effective tool for keeping windows closed, they are highly ineffective against any attacks that burglars might try gain entry. Installing window security locks on each of your windows is always the best way to go. You should not consider any window inaccessible because an ambitious burglar will not view that window the same way you do. Due to the wide array of window types, there are several window security locks that you can take advantage of to suit your needs. Some common examples of these window security locks are ventilation locks, hinge wedge locks, locking pin locks, and keyed window security locks. In addition to having these window security locks installed on all your windows, homeowners can take advantage of some DIY security upgrades that complement their window security locks. One simple DIY solution makes use of screws, bolts, and panels to impede the natural flow of motion of your windows. Essentially, you want to block your window tracks in such a way that a burglar will not be able to open the window from the outside, but you will still have easy access from the interior. For sliding windows, this can often be done by placing panel or beam within the tracks of the window to prevent them from being forced open. On single-hung windows, drill a hole through the window tracks at a suitable height. Once the hole has been created, insert a nail, screw, or bolt to fill the hole. Ideally, the hole should be placed above the lower section of the window to impede its opening motion. These measures are simply layers that come in handy in the event that your window security locks are compromised. Window security bars are very effective at limiting the amount of access that burglars have to your windows. They can either be placed on the exterior of your home or on the interior. Either way, window security bars help reduce the probability of success that a burglar has. Window security bars are effective for two main reasons. The first is that they help limit the ease of access a burglar has to your window. By making your windows hard to reach, window security bars make them harder to attack. The second way they come in handy is by reducing how visible things in your home are. By effectively obstructing a burglars view, you are also making it much harder for them to see what is going on inside your home. Window security bars come in many different shapes and sizes to accommodate the wide array of windows that exist in the residential space. Ideally, you should choose window security bars that are made of solid and durable materials. Security bars can be overcome by burglars, but only if they exert excess force. Exerting that amount of force will not go unnoticed, which is why burglars avoid windows with security bars. Trying to remove window security bars can alert homeowners or neighbors that are close by. In conjunction with many of the other deterrents discussed here, window security bars prove to be an integral part of window security. Reinforcing window security glass helps bolster your window security. Burglars are widely known to break glass in attempts to gain entry to homes. Glass windows can be reinforced by focusing on the core material: glass. Glass can be reinforced by utilizing layers of glass security film, similar to the way they are used on sliding glass doors. It might be somewhat of an unconventional approach, but it is one of the best ways to render your window glass shatterproof and tamper resistant. With reinforced glass in place, burglars will have a tough time breaking through your glass to enter your home. Security glass film comes in different sizes and densities, so it is crucial that homeowners assess their needs and choose an appropriate glass film for their window security needs. In addition to reinforcing your glass windows, you can be a lot more proactive by changing the core makeup of your windows. Since most windows are predominantly made of glass, you will be focusing on changing the glass in this instance. One of the best alternatives to traditional glass for windows is plexiglass. Plexiglass is a composite product that consists of an acrylic and petroleum-based substances. In some circles, it is often referred to as acrylic glass. The end result is that homeowners are given a rather robust product that is just as malleable as it is secure. Plexiglass windows are inherently shattered resistant, which makes them a great tool to keep burglars at bay. Burglars will have to exert far more pressure on plexiglass to even make a crack in it. If plexiglass is paired with security glass film, it is nearly impossible to undermine the security that they present. Security alarms as a part of window security and window protection, help cater to the lack of notification. Window security alarms focus on notifying the homeowner that something is amiss with their windows. Timely notification is important, yet often overlooked, as a part of window security measures. If a burglar breaks into your home through your windows, you have to put steps in place that assure you are notified in the right way. 53% of burglars break in during the day when most homeowners are away at work. Window alarms with remote notification capabilities will help keep you in the loop about your window security. Not only does this help keep you safe if you are in your home, but it helps keep you updated on the status of your window security if you are away from home. Window security alarms can either be installed as stand-alone motion sensor alarms, burglar circuit alarms or as part of a monitored security system. Ideally, they should be placed along the frames of windows so that they are primed to detect any unauthorized access. To battle the visibility that burglars exploit, homeowners should make use of window shades and shutters, as well as tinted glass windows. 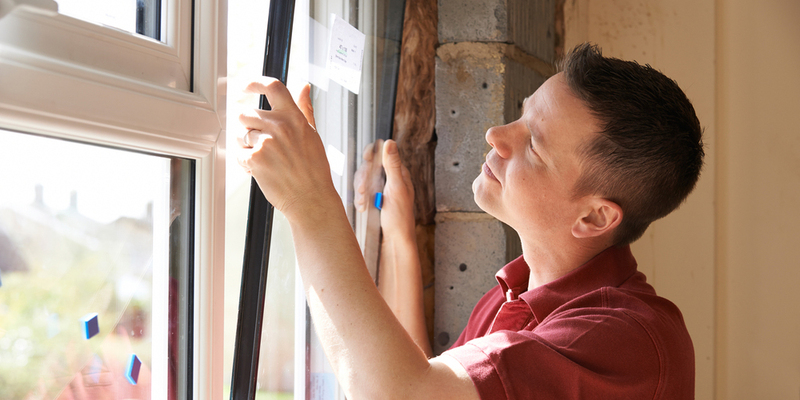 Implementing these measures is a proactive way to fortify burglar proof windows. The great thing about using these elements as window protection tools is the fact that they also double as a great style addition to your home. Each of these elements allows homeowners to control how much outsiders can see of their home. Window shades and shutters can be raised by homeowners if they want to let the light in, and lowered when they are leaving home and want to keep their interior elements private. Also, some tinted glass windows can be treated using one-way window film, which allows you to see outside, but does not let anyone see inside your home. It is very easy to think that burglar proof windows only involve window security locks and window security bars, but sometimes fortifying the smaller things goes a really long way. To achieve truly burglar proof windows, you have to make sure that you are not left exposed on any front. All of the above tools have focused on the window itself, or elements that are in close proximity to windows and window glass. However, window security is heavily influenced by, and dependent on, perimeter security. There are many things to consider about perimeter security, especially the way it influences all of your other security measures. Implementing an effective perimeter security approach will limit the scope of a burglars access to your home, while concurrently increasing the visibility that you have of your perimeter. Elements that should be staples in your perimeter security include motion sensor flood lights, window security bars (as discussed above), security cameras, etc. These tools are geared towards making it much more difficult for a burglar to approach your windows, and your property, unnoticed. For homeowners that are limited by budgetary restrictions, cost-effective solutions like smart doorbells and easy to set-up security cameras can be acquired online. Burglar proof windows are an integral part of window security. However, I hope homeowners understand that burglar proof windows are not a single product. Following the guidelines discussed above will help you fortify your window security and keep burglars at bay. If you have any questions regarding burglar proof windows, please leave a comment below so that we can address it.